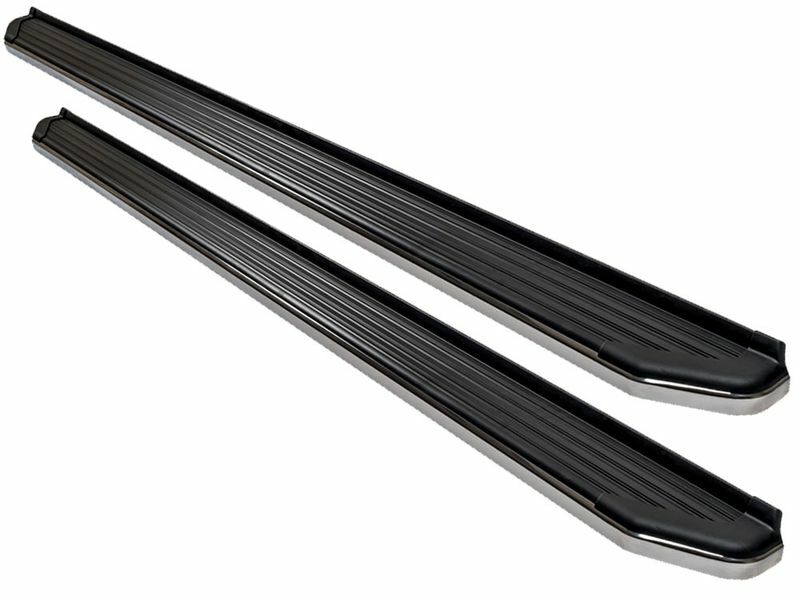 If you're looking for a luxurious pair of running boards you need to check out Ionic 41 Series brite running boards. They are constructed out of extruded aluminum with a polished stainless trim that give you a pop of something different. Ionic 41 Series brite running boards have a wide, five inch stepping surface. This wide step will allow you to get in and out of your vehicle safely and unscathed. You'll be able to install these side steps easily at home. Drilling is required on some applications, but not all. Get your very own Ionic 41 Series brite running boards ordered today and you won't regret it.